The Himalayan Mountains form some of the world’s most beautiful and remote landscapes, including 14 of the world’s highest peaks. The eastern Himalayas stretch for 1,500 miles, creating a natural barrier between the lowlands of the Indian subcontinent and the Tibetan Plateau. Within this diverse region of grasslands, temperate forests and alpine slopes, a dizzying array of Himalayan animals, many unique and rare, makes its home in these mountains. Located at a geological crossroads forged by the collision of two massive tectonic plates, the Himalayan Mountains feature a truly remarkable collection of animal species. The eastern Himalayas alone are home to more than 300 species of mammals, nearly 1,000 species of birds and hundreds of reptile, amphibian and fish species. Conservation International has labeled this unique biome a biodiversity hot spot. The World Wildlife Fund reports that at least 163 of these species are globally threatened. The Himalayas are home to many rare and unusual animals. The takin, Bhutan’s national animal, is a shaggy combination of a goat and antelope. 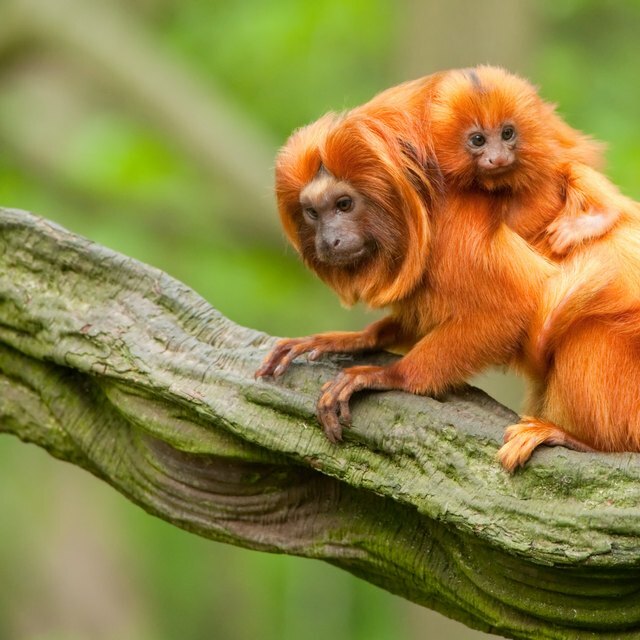 The region also is home to the rare golden langur, a monkey species found only in the Himalayas. One of the primary populations of the one-horned rhino, the largest of the three Asian rhino species, is found here as well. With an estimated population of less than 3,000, these rhinos can weigh between 4,000 and 6,000 lbs. The largest population of the Indian, or Bengal, tiger is found on the slopes of the Himalayas. The rare high-altitude snow leopard, estimated at less than 200 individuals, and cloud leopard also call the slopes of the Himalayas home. 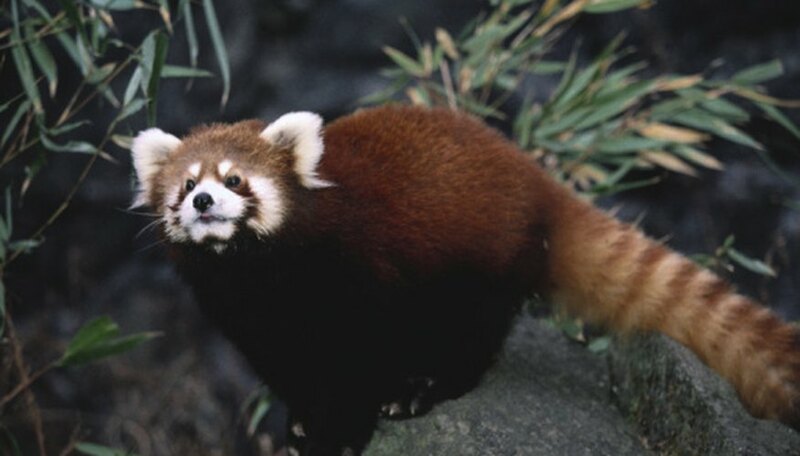 The Himalayas are even home to the Asian elephant and the elusive red panda. In 2009, the World Wildlife Fund announced the discovery of 350 new species in the Himalayas, including two new mammals. The miniature muntjac, or leaf dear, is the smallest-known deer species in the world. This unique animal grows to only 24 to 32 inches in height. In addition to its unique size, the leaf dear is a member of the oldes- known deer group. In 2005, the first new primate discovery in more than 100 years was made in the Himalayas. The Arunachal macaque is a stocky monkey with brown fur and a dark face. This macaque species inhabits the higher altitudes of the Himalayas, preferring to live between 5,200 and 11,500 feet. No discussion of the animals of the Himalayan Mountains would be complete without addressing the enduring legend of the yeti, known to the locals as the gatekeeper of the mountains. The yeti is believed to be a bipedal primate with an apelike face and head and covered in thick, shaggy, reddish-brown fur. While no direct evidence exists for the yeti, there is a long tradition of sightings, including many by international mountaineering expeditions at high altitudes. The recent macaque discovery demonstrates that the potential still exists for the discovery of new primates, though very rare. Whether the yeti is destined to be the next discovery remains to be seen. Bennett, Doug. "Animals in the Himalayas." Sciencing, https://sciencing.com/animals-himalayas-8568903.html. 24 April 2017.